Uh, it’s hard to catch a photo. It’s my beloved cat Moritz who turned 15 years old. 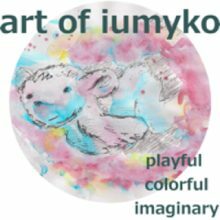 Today I have the little story about the beginning. 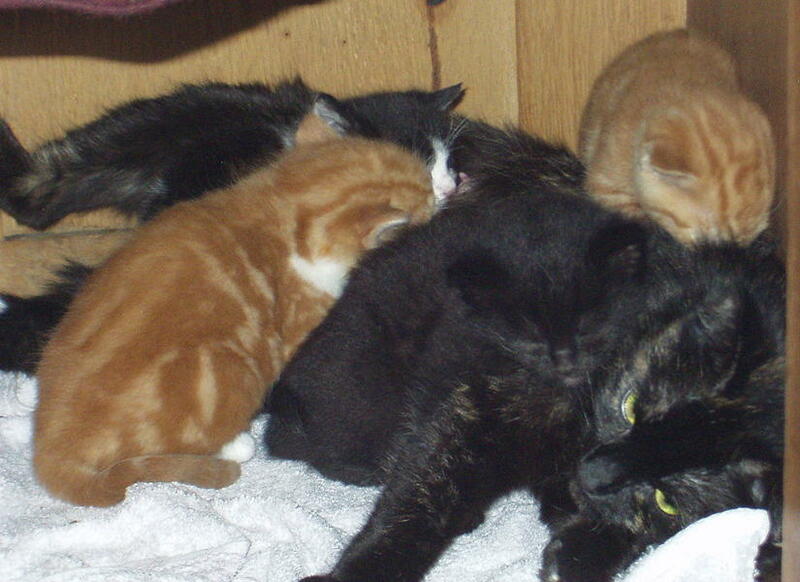 Back then in April 2003 a little cat called Daphne, or short Daffi, gave birth to four little critters. Two of them shared their life with me. 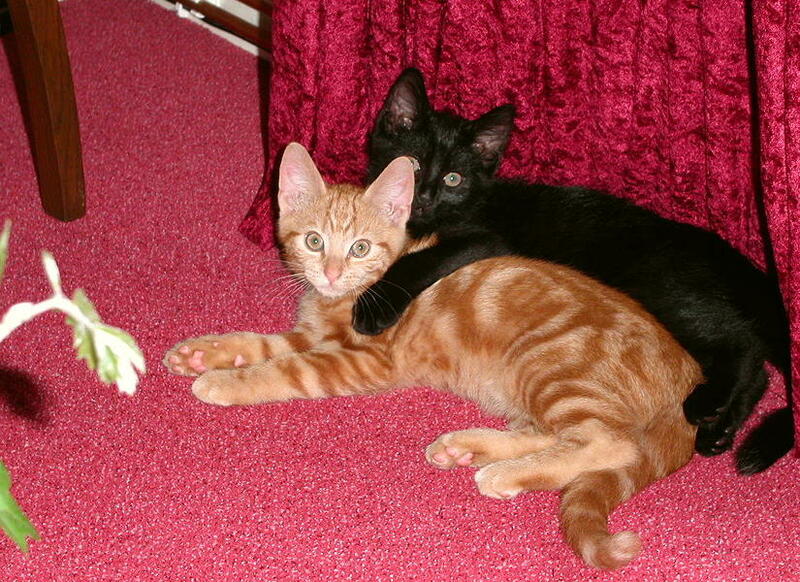 Moritz, the black one, and Amber, the ginger one. Sorry for the bad quality. This is the nest on the 5th day of their life. 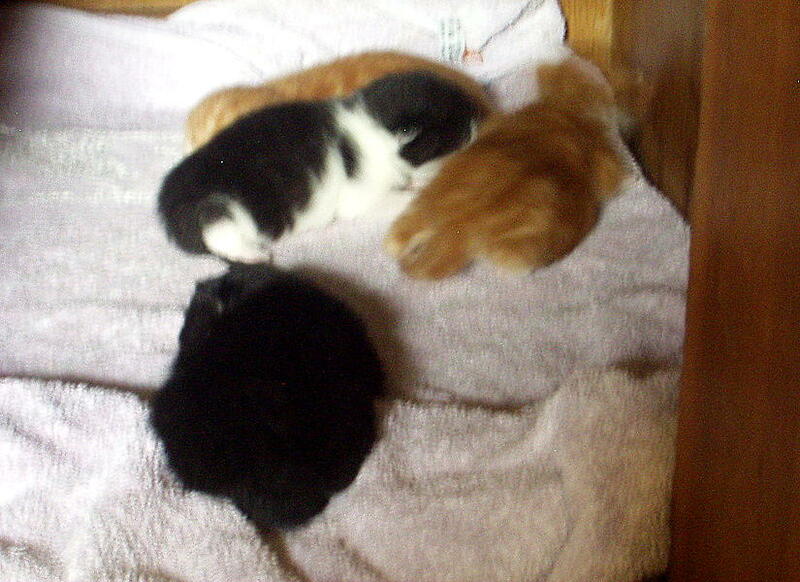 Moritz is the black blob in the front. One month later the kitten were climbing on the mother cat. Moritz is melting with his mother. You can see him their cheek to cheek. He alway stays difficult to photograph. After 2 1/2 months Moritz and Amber moved to my house. Look how much they were grown in their first months. But it’s not only birthday. It’s time to think again of Amber who died in October 2017 and left Moritz and me with a broken heart. 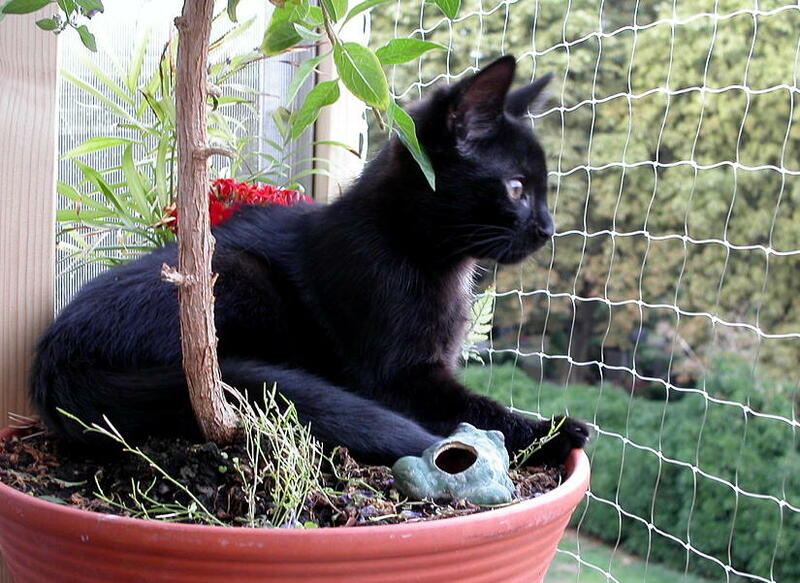 The 3 month old Moritz still fits easy in a flower-pot.